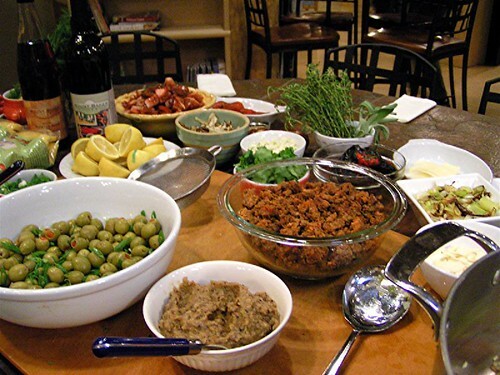 Last Thursday at Gretchens we volunteered for a class focusing on shellfish paired with wine. 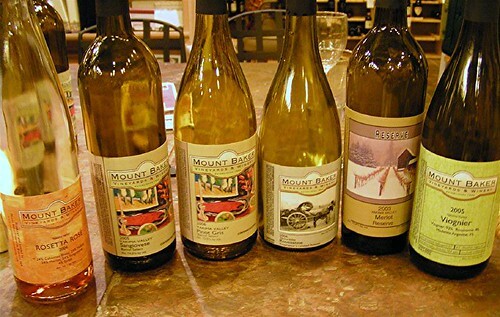 The food was prepared by Knut Christiansen, the wine was provided by Randy Finley, owner of Mount Baker Vineyards. We were there for five hours and I think I’ve eaten enough butter sauce to last me for a week or two, but it was a fun class. Knut spent most of the class demonstrating various types of steamers. 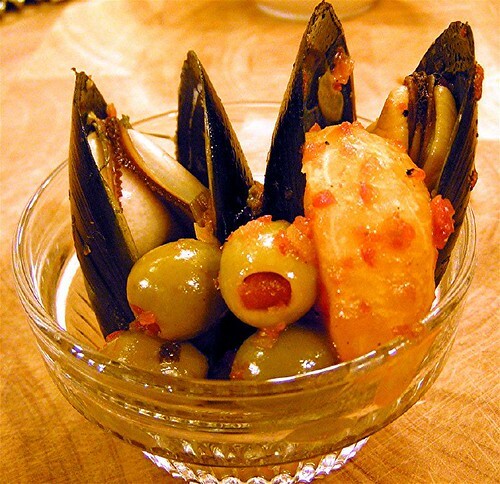 He started off with fresh Penn Cove mussels cooked with green olives and tangerines. 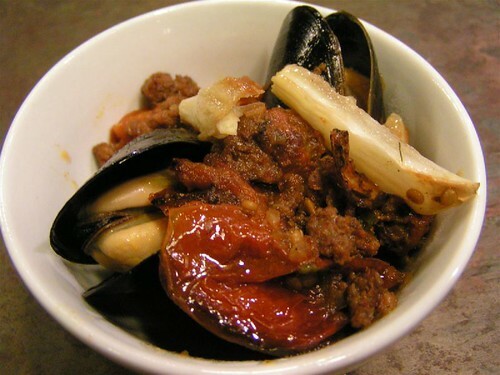 The next course was mussels steamed with sausage and roasted tomato, very substantial and meaty. We had a sangiovese with this, which worked very well. 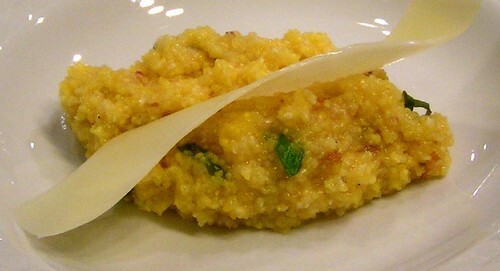 We had a short break from shellfish with a small plate of polenta and cheese. 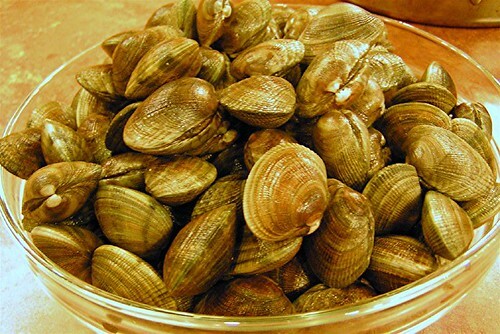 Then there were clams. 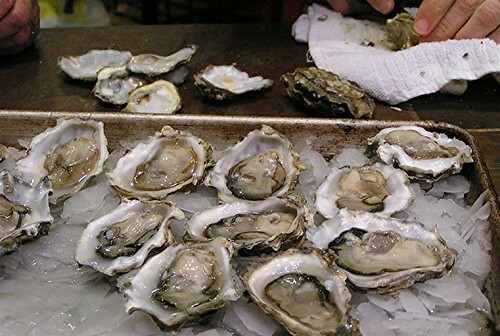 I wasn’t paying a lot of attention during these courses, because we were running over time and I was getting tired and anxious about the oysters. I think they were good. 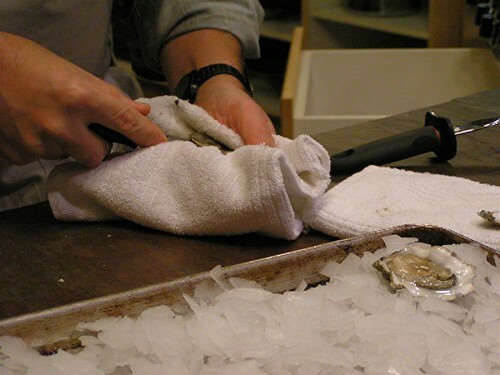 J learned to shuck oysters! He got to do a lot of them. 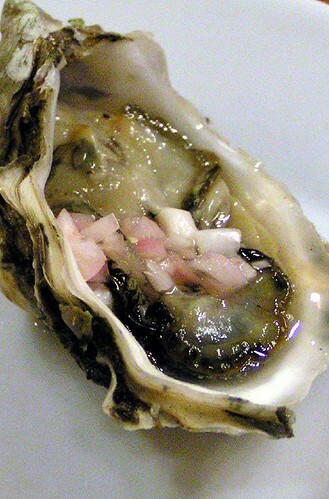 I ate the second raw oyster of my life, a Pacific extra small – it was mighty tasty. It had a basic mignonette sauce on it. The oysters were served with a rousanne, which went surprisingly well. There was a chardonnay as well (there was another oyster course with prosciutto and basil, and acorn squash aioli) but it all kind of got combined into one course. Apologies for the abbreviated nature of this post – it was a long night, and we were pooped!